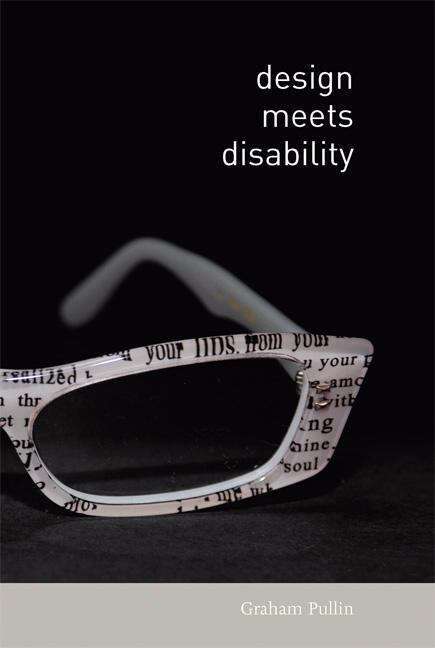 Eyeglasses have been transformed from medical necessity to fashion accessory. This revolution has come about through embracing the design culture of the fashion industry. Why shouldn't design sensibilities also be applied to hearing aids, prosthetic limbs, and communication aids? In return, disability can provoke radical new directions in mainstream design. Charles and Ray Eames's iconic furniture was inspired by a molded plywood leg splint that they designed for injured and disabled servicemen. Designers today could be similarly inspired by disability. In Design Meets Disability, Graham Pullin shows us how design and disability can inspire each other. In the Eameses' work there was a healthy tension between cut-to-the-chase problem solving and more playful explorations. Pullin offers examples of how design can meet disability today. Why, he asks, shouldn't hearing aids be as fashionable as eyewear? What new forms of braille signage might proliferate if designers kept both sighted and visually impaired people in mind? Can simple designs avoid the need for complicated accessibility features? Can such emerging design methods as "experience prototyping" and "critical design" complement clinical trials? Pullin also presents a series of interviews with leading designers about specific disability design projects, including stepstools for people with restricted growth, prosthetic legs (and whether they can be both honest and beautifully designed), and text-to-speech technology with tone of voice. When design meets disability, the diversity of complementary, even contradictory, approaches can enrich each field.